DAY 1: Petra is the most popular attraction in Jordan and is also one of the world's most famous historical archeological sites. 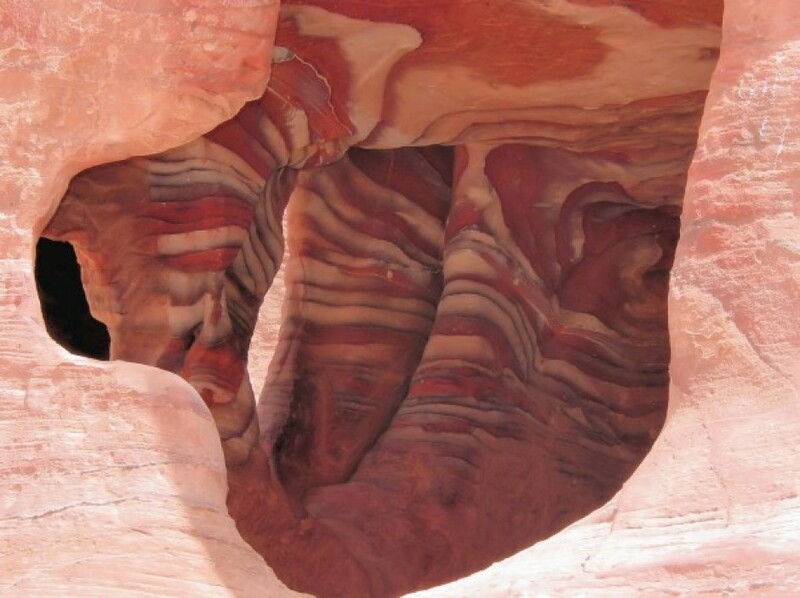 It is an ancient city located between the Dead Sea and the Red Sea --the land around Petra is desert like. 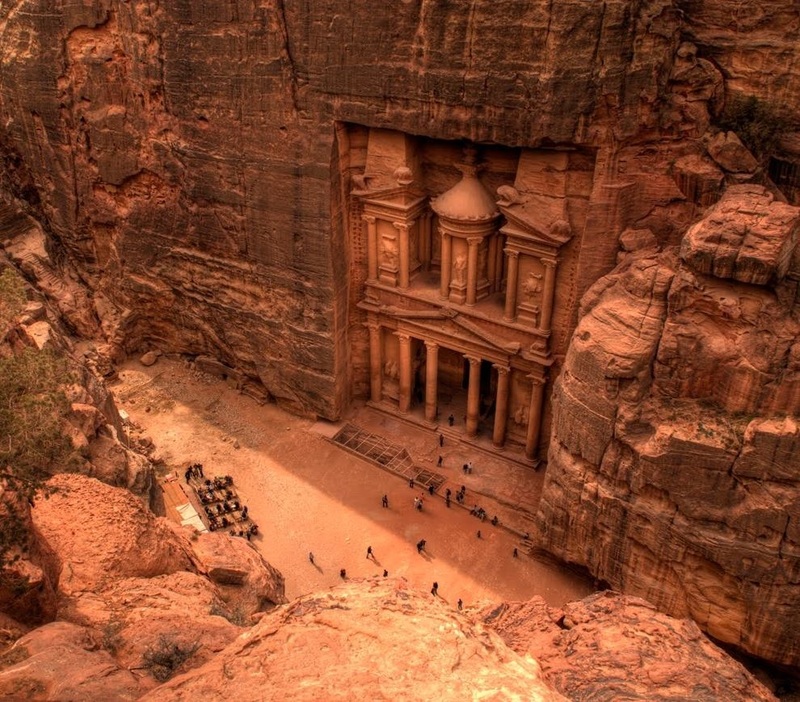 The city of Petra is half man-made and half carved into the rock. 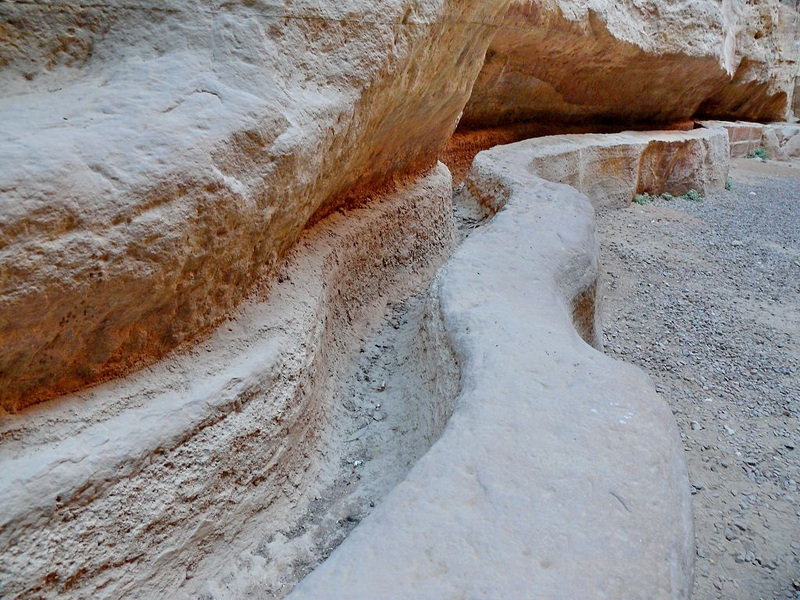 Petra had a water plumbing system that provided water --without that there would NOT have been a city. 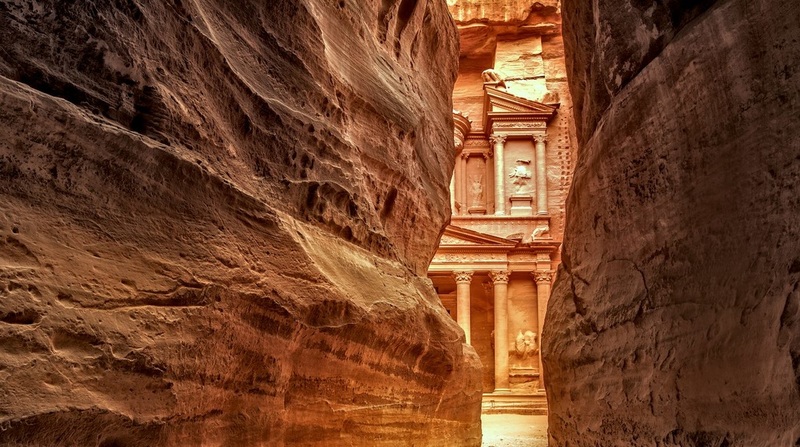 Petra is often referred to as the Rose City because of the rose color of the rock from which the city was carved. 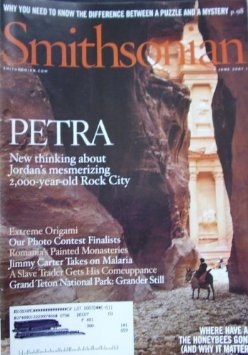 The Western world knew nothing of Petra until a Swiss explorer introduced it to the world in 1812. DAY 2: Smithsonian magazine considered Petra so breathtaking, it chose Petra as one of its '28 Places to See Before You Die'. 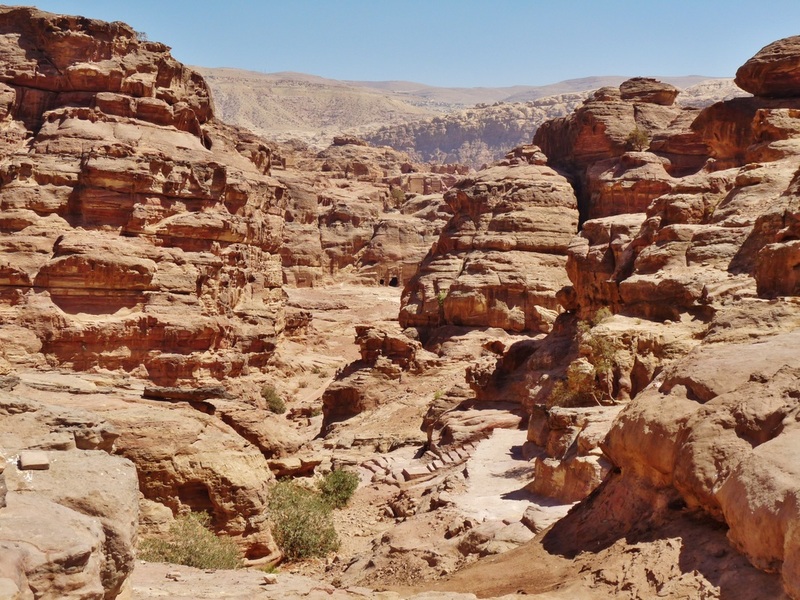 Petra is thought to have been established as early as 312 BC. That's over 2300 years ago! 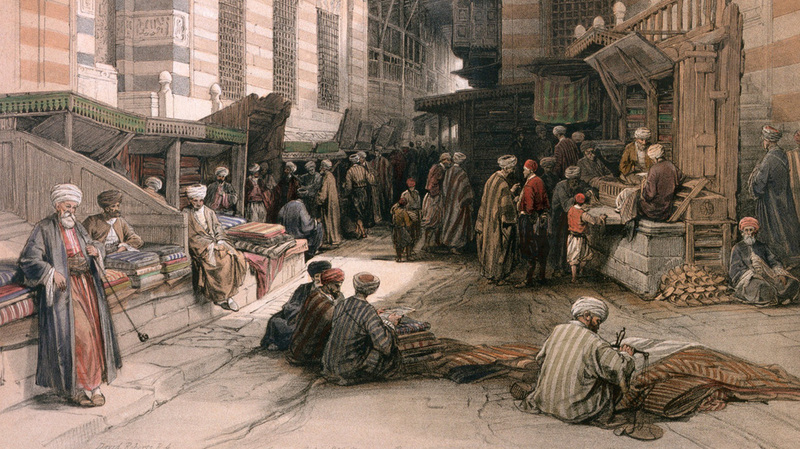 It was the center of the caravan trade, an important place where silk was bought, sold, and traded. Petra was located at a junction that China, India, Egypt, Greece, Rome, Syria and southern Arabia used for trading spices and silk, among other products. Hundreds of years ago, Petra was a busy place. The word Petra is a Greek word meaning rock. DAY 3: Petra would not have been possible as a place for settlement if it had not been for the water conduit system that was built to provide water storage and a steady supply of water for its citizens. It would have been impossible to live in the middle of what is largely desert. 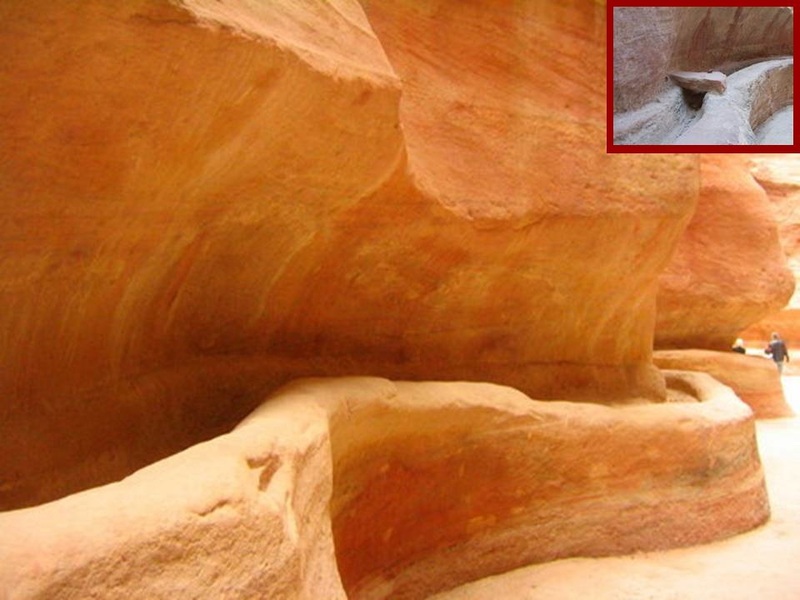 With Petra's plumbing system there was enough water to support the 30,000 people that are believed to have lived there. Petra's water system also supplied enough water for the city to have lush gardens. Today tourists can see parts of that ancient water system as well as over 800 stone carved structures that were once part of the city! 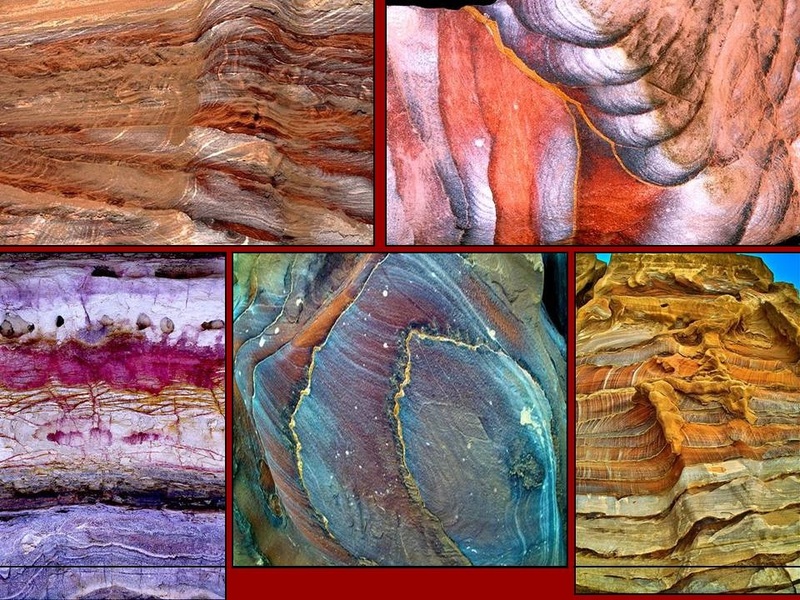 DAY 4: The rock at Petra abounds with color --often the colors don't seem real, but they are the natural colors. 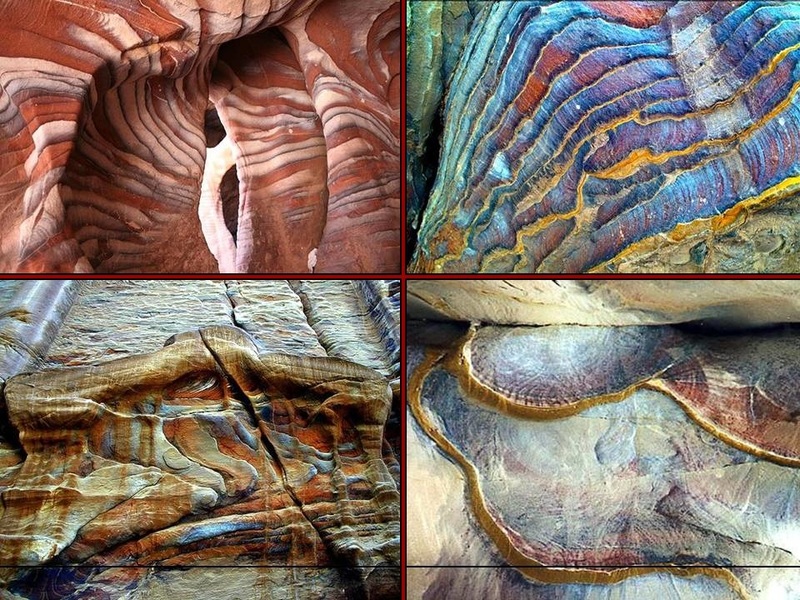 The temperature at Petra can reach 115 degrees --just right for turning the sand and rock into works of art. At night Petra glows with the lights of night visitors, changing its color yet again to a deep burnt orange! 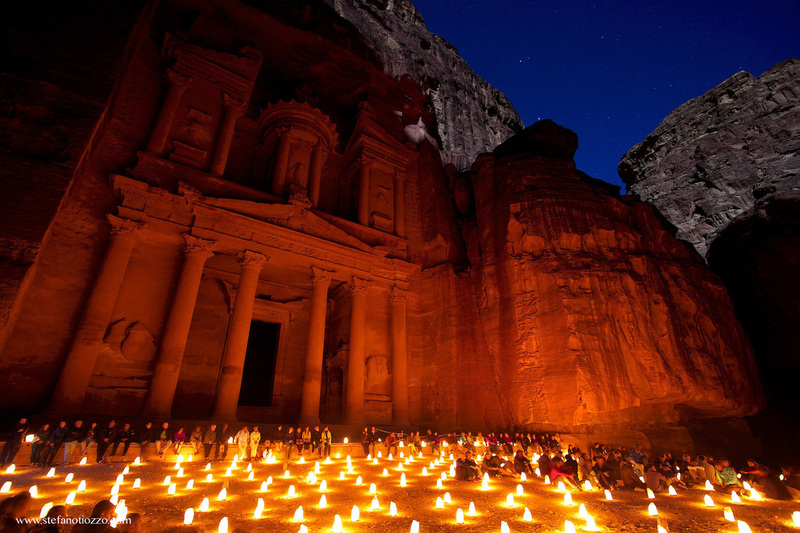 Most tourists arrange to stay at Petra in the evening to see this remarkably beautiful sight. 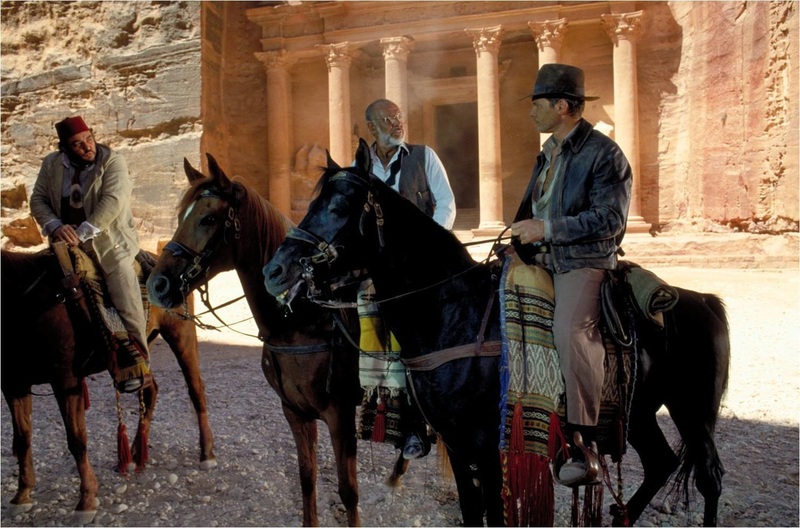 DAY 5: One of the "Indiana Jones" movies was filmed at Petra. In one scene Jones enters the Treasury --a tomb which is large and has many chambers. 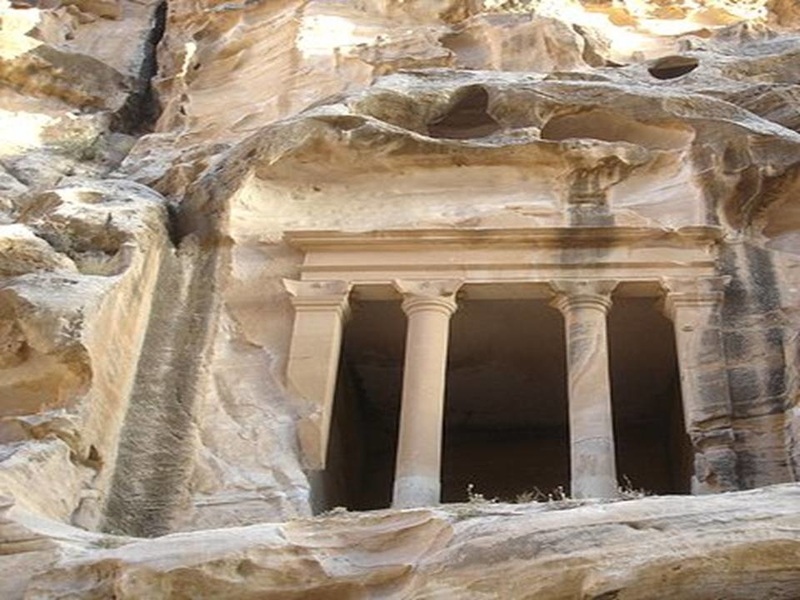 Although Petra has many tombs, the one Jones entered in the movie is actually small on the inside. In the movie it appeared enormous with passageways that seemed endless. 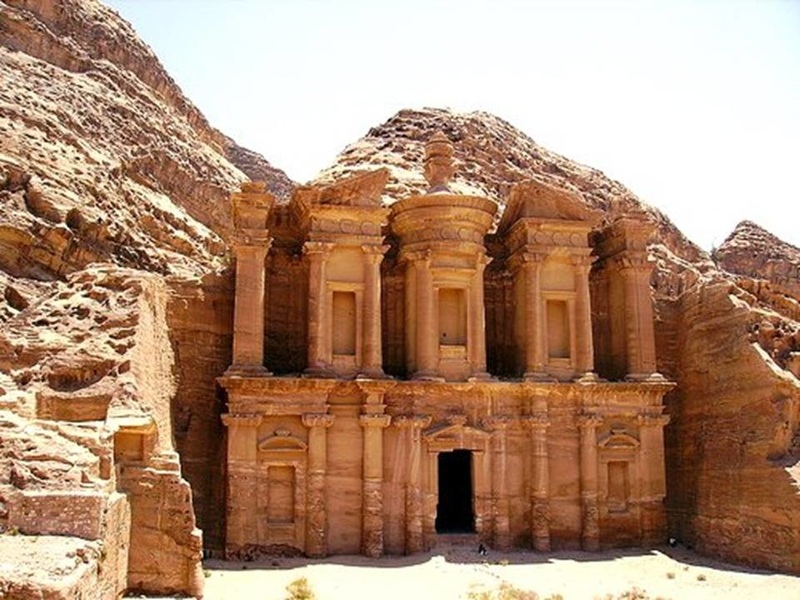 The building seen most often in photographs of Petra and the one in the Indiana Jones film is called the “Khazneh,” which is Arabic for the “Treasury.” At one time local people believed it contained hidden treasure. Almost everyone believes that Petra is the name of this building. Unlike you, they don't know that Petra is the name of a city --the building on the posters is only one of the 800 buildings you can see.